Yup tis me again! I’m going to write about something dear to all our hearts, money, lack of or overspending of. All too often you will see people searching the pages to get cheap commissions or to get costumes fast because a) you might be new to cosplaying or b) you are restricted on funds. You might well be dismayed when that comes in the post because, and don’t think you are alone here, what turns up doesn’t even vaguely look like the epic costume you envisioned. And sadly this is why – pay for cheap you get cheap. And I am not going to be arrogant and say I told you so… because that assumes it’s about you being stupid and it’s not. It’s about learning what and where to order from. Not everyone is able to sew, for instance I find it very hard to find the space in a small flat so something’s I will order from people. What I learnt by trial, error and money is that you need to research what you want and carefully… First time I brought something it was a total disaster, nothing like the thing I had ordered and consequently sits in a box of shame with the idea I might one day find a use for the component parts. It’s akin to buying a Walmart/Primark suit for a job interview then wondering why the guy in Prada has nailed it… the investment speaks for itself. Of course if you’re new to the whole thing and you want to get something cheap and fun until you think this is the hobby for you ignore me! I also don’t include this when we’re talking about home made costumes, if you can make it and try then I think it’s great because it’s a creative thing and more to celebrate. However I guess this is more for me when I say keep it in perspective – if you want to have a totally epic armour set that looks like it was made by professionals you either need to be that said professional, talented or pay the cost. Don’t get upset if you aren’t stopped for you’re Link costume if the Link beside you is home made or cost an extra few hundred bucks. What I love about seeing costumes way better than mine is thinking, well that’s about ten million ideas I use to make a better one next time! And on that joyous note I wish you all a wonderful Con Season and hope that you love your cosplays as much as I do! 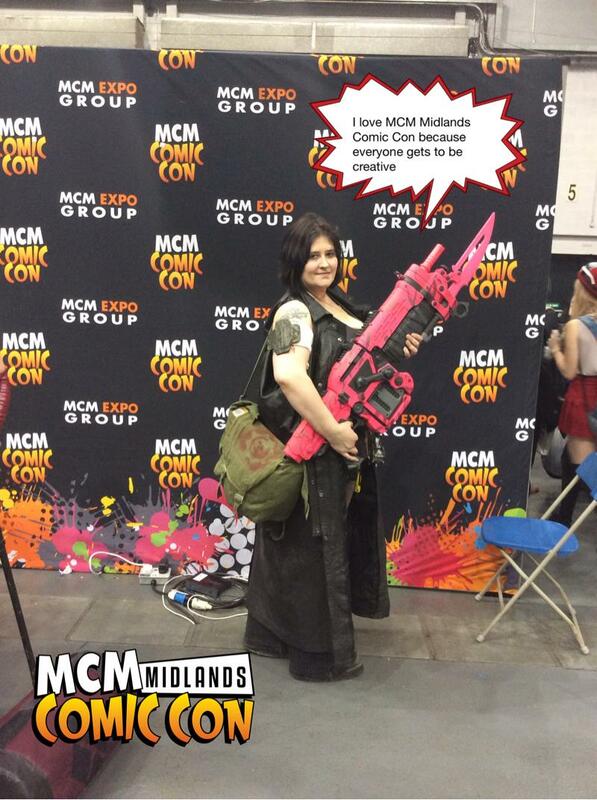 And just for a laugh see my Gears of War Stranded that I took to MCM Telford. If you like it you can hit the link here and say so, thanks! !